Potomac Photonics, Inc., a Micro Digital Fabrication company based at the [email protected] research and technology park in Baltimore, Maryland, has expanded its website to reflect increased focus on new additive manufacturing activities. 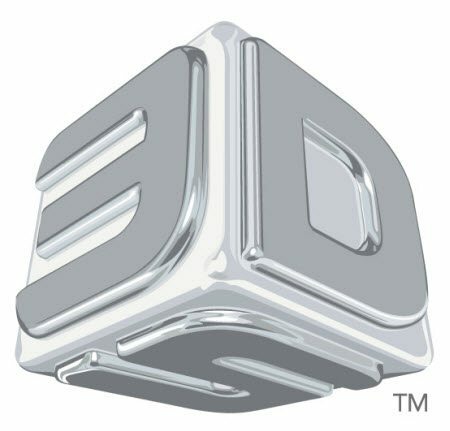 The 3D Printing section of www.potomac-laser.com adds technical information and application guidance on 3D Printing to educate engineers, innovators, inventors, managers, manufacturers, artists and educators on the rapidly changing field. Potomac has worked in Digital Fabrication since 1986, and brings to 3D Printing a wealth of practical know-how in CAD design, machine code, design for manufacturing, parts handling, post processing, part replication, and assembly. With ISO 9001:2008 and ISO 13485:2003 certification, Potomac also has a robust quality control program that reflects the company’s customer-centric philosophy. “We’re especially excited about projects where we combine our other digital fabrication tools with 3D Printing for unique solutions to customer’s manufacturing problems,” says Potomac President and CEO Mike Adelstein. In addition to 3D Printing on a contract service basis, Potomac is an authorized reseller of 3D Systems 3D Printers. From desktop rapid prototyping machines in the Cube family of 3D Printers to high-end production machines, Potomac can offer the perfect machine for a specific application. “We use 3D Systems equipment in our facility, and so we know the 3D Printers capabilities first hand and can help with the selection process,” explains Mr. Adelstein. Potomac also has 3D Systems factory-trained service staff on site to ensure that customers get the best customer service on a local level. To qualify for the training, Potomac staff member John Ford had to go through an online course, and pass a series of quizzes. John adds: “this ensured that the class started out with a knowledge base so that we could go on to far more complex topics and more advanced service work.” The level of expertise from a factory-trained technician far exceeds the basic service instructions 3D Systems is able to provide for customers. And, of course since Potomac is operating 3D Systems 3D Printers in their own contract service work, they deal with the inner workings of the 3D printer, including the internal computer, on a daily basis. Through an innovative Education Manufacturing Initiative, Potomac works closely with students, faculty, and research staff at universities and institutes, often giving large discounts on special contract service projects. At the University of Maryland, Baltimore County Potomac has helped students 3D Print a map of the entire campus from their 3D Model created with an Octocopter-mounted camera and for Boston University students working on STEM cell research the company 3D Printed a high precision stencil. Potomac has also 3D Printed art pieces for sculptors exhibiting in new digital fabrication art shows such as Bits to Its. Potomac also actively volunteers in the International Fab Lab Network based at MIT’s Center for Bits and Atoms in Cambridge MA. They are helping the local Fab Labs organize a Digital Fabrication conference, DigiFab, that will be held in Baltimore in November, 2014 to explore the impact of digital fabrication on society.